Steve Nichols of InfoTech Communications - a hi-tech communications consultant based in Norwich. InfoTech Communications is run by Steve Nichols, a journalist and business communicator with 30 years' experience. Steve is a journalist and photographer for many major UK magazines and companies. He also produces award-winning communications for a host of blue-chip clients, including writing, photography, ezines, videos and podcasts. Launched the GetConnected.aero website about inflight connectivity - see Twitter feed below. Technology Editor for Arabian Aerospace "Show Business" at the Dubai Air Show, Bahrain International Air Show and Abu Dhabi Air Expo. Connectivity specialist for "Inflight" magazine at Apex Expo, California. Has run numerous in-house courses on photography and writing. Space editor for "ADS Advance" at the UK Space Conference. Steve wrote the electric green taxi (EGT) solution brochure for Honeywell Aerospace. He also wrote "Stealth Antennas" and "An introduction to Antenna Modelling" for the Radio Society of Great Britain. Now Available! 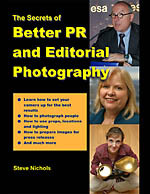 Steve's new "Better PR and Editorial Photography" resource manual with everything you need to know about taking better photographs. The latest electronic edition of Steve's book "The Secrets of Stock Market Success" has also been launched. Steve has won awards for writing, photography, audio/video and web design. He also runs communications skills training seminars. seminar on audio streaming at an IoIC conference. Our client list includes ADS, Aviva, Arabian Aerospace, BART International, Farnborough International, QinetiQ, Inmarsat, Honeywell, Reed International and many others. Steve helped Arabian Aerospace win the "Best Digital Media" award 2012 at the Royal Aeronautical Society with the the weekly Arabian Aerospace Radio podcast. Looking for stock photography? Our image library representative Alamy has a massive selection. 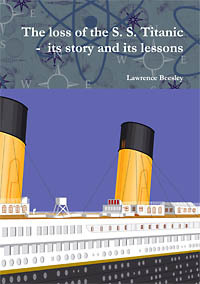 Steve also helped re-publish Lawrence Beesley's eye-witness account of what it was like to be on the ill-fated Titanic as part of the 100th anniversary of its sinking. Video projects include covering space exhibits at the Farnborough Air Show and inflight entertainment at Aircraft Interiors in Hamburg.